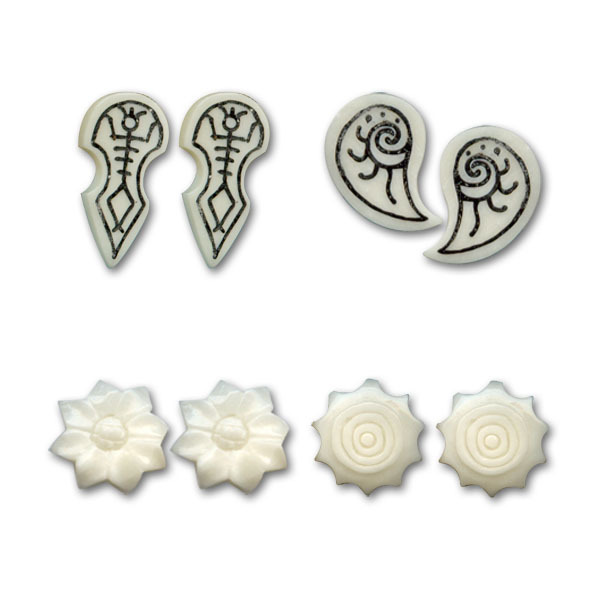 You will be receiving a trendy hand crafted new collection of bone and horn ear studs. 8 NEW styles as in the picture. 8 new styles. 32 pcs. total in this pack.